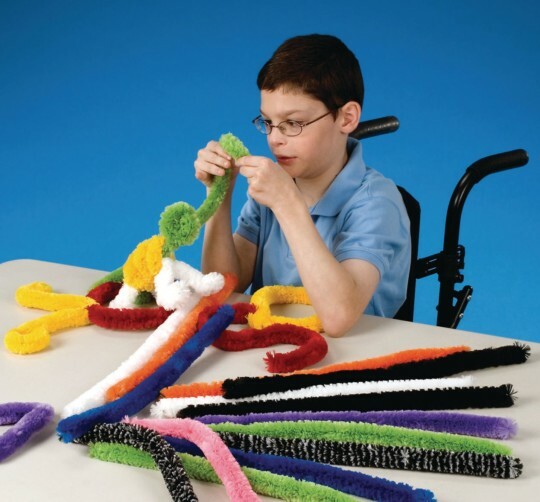 A wonderful and engaging manipulative that your clients won’t be able to keep their hands off! 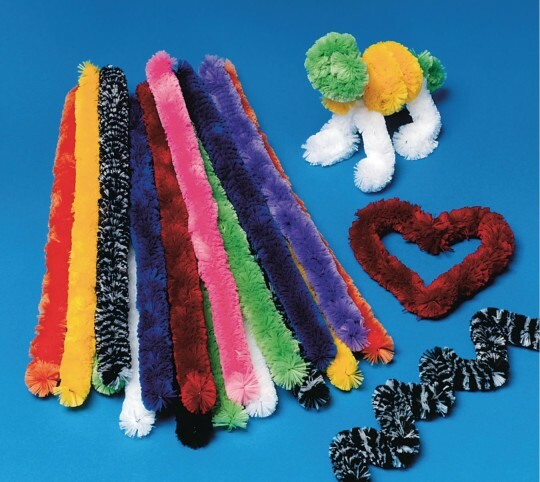 These colorful, super-soft fiber noodles twist and bend for a soothing sensory experience while keeping hands and creative imaginations busy for hours. Assorted colors. 1"-thick x 18"L. Pack of 25. Item Care Instructions A soft cloth lightly dampened with some isopropyl alcohol to surface wash the noodles. The less moisture used the better. many ways to use just be creative. Made some very interesting items!!! This has been a very fun item to use in groups or 1x1's we have had many laughs at what they are able to create. ve ry good for Alzheimer's patients and can be reused. residents of all abilities are able to use these items!